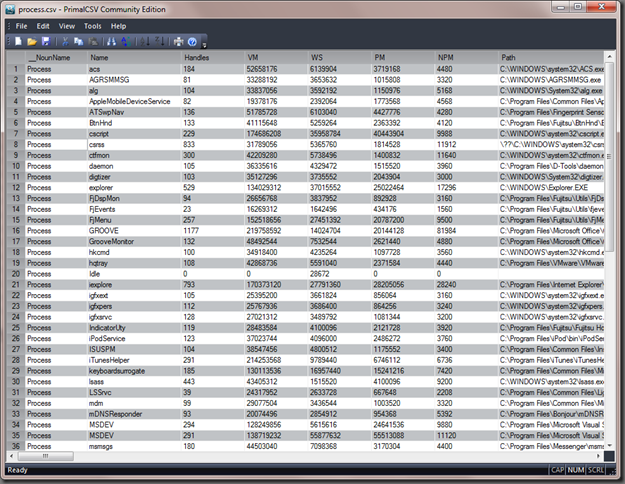 PrimalCSV is another one of our community tools up for a review. 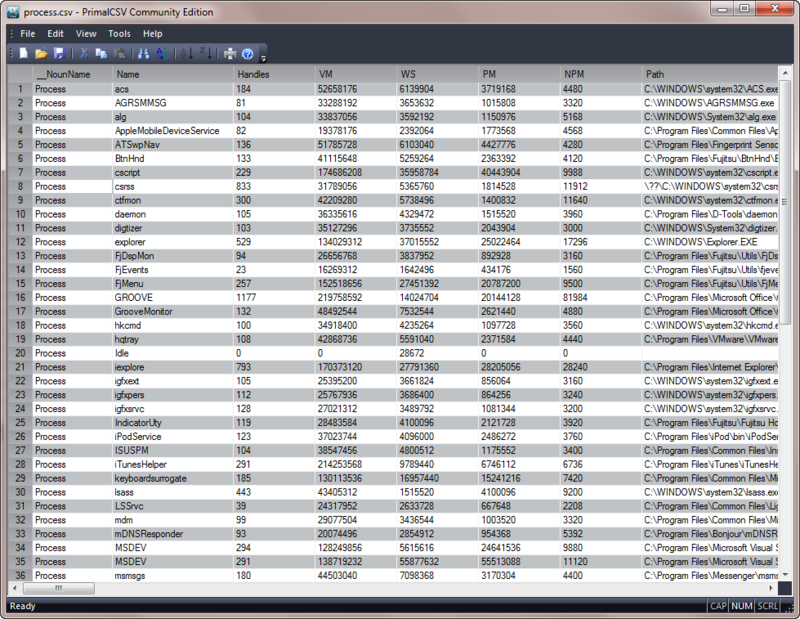 As CSV is one of the file formats frequently used by administrators to transport large amounts of data from one script to the other, the need for a specialized tool is pretty clear. Whether you just need to see a file to verify its correct structure or need to actually edit the file to adapt the output of a one-off PowerShell command to the input for a script, PrimalCSV has the basics. Because it’s a single exe file, it is pretty easy to use without installation. On a server where you are not very likely to have Microsoft Excel installed, it can save you quite some time when you deal with CSV file. As we make our way around the community tools to take them to the next version, we thought we would ask you what you want to add. automatic detection of Powershell output? I, too, need the ability to specify the field delimiter. I work with files that use a variety of characters, such as |, # and tab. I’d also like to see command line parameters that let me specify the file to open, the field delimiter to use and whether the first row contains headers. Multiple tabbed documents would be a nice touch, too. There are also schema extensions for other systems. This allows the file to override a schema and forces conversion. This method does not work with all import utilities in Windows.